의료 전문가의 지시에 따라 하루에 2캡슐 섭취하세요. 항생제와 함께 복용할 때는 의사의 지시에 따라 항생제 복용 후 1~2시간 후 섭취하세요. 여성들의 질, 요로 건강에 도움을 주는 유산균 제품입니다. 람노서스(Lactobacillus rhamnosus) GR-1 및 락토바실러스 루테리(Lactobacillus reuteri) RC-14 유산균이 함유되어 있습니다. 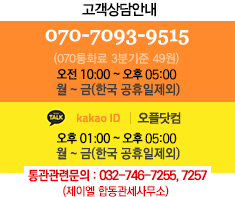 임상적으로 입증된 질 건강 개선에 도움을 주는 유산균으로 밝혀졌습니다. Warnings: Keep oit of the reach of children. Fem-Dophilus dose not require refrigeration and can be stored at room temperature. Refrigeration will, however, extend the shelf life. Avoid temperatures above 77°F (25°C). 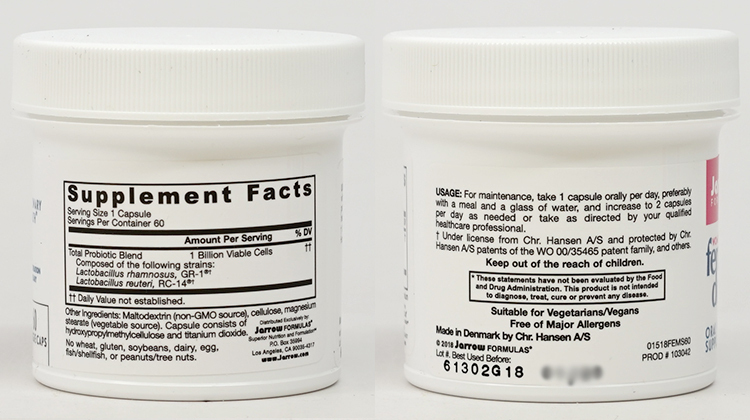 Other Ingredients: Maltodextrin (non-GMO source), cellulose, magnesium stearate (vegetable source). Capsule consists of hydroxypropylmethylcellulose and titanium dioxide. Free of Major Allergens. Suitable for vegetarians/vegans.